Is yellow too vibrant of a color to be part of the dorm decor that you want to decorate your college dorm room with? We say no way! Yellow dorm decor can turn your dorm room into a bright and cheery place. Unfortunately, yellow gets a bad rap for being too loud of a color for decorating purposes. But dorm decor like this yellow college pillow can help strengthen the look of your dorm room. Just think, you've spent a long day running around campus when it's gray and rainy. Wouldn't it be nice to be greeted by a bright pop of color when you walk into your dorm room. 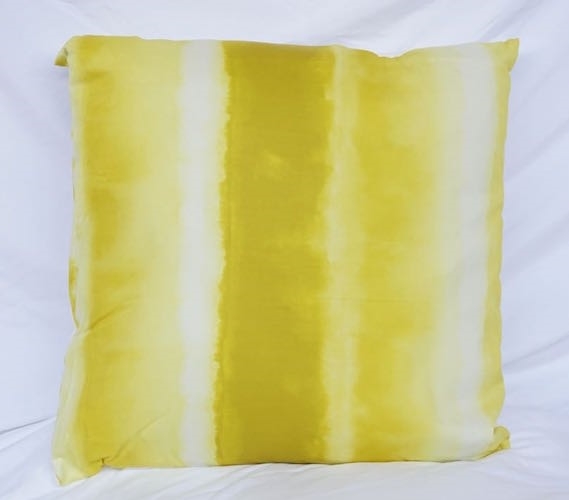 Put this Spectrum - Limelight Yellow - Cotton Throw Pillow on your college furniture so on cloudy days you can bring a little sunshine into your dorm room.